I am sure you have worn crepe tops and shirts. The crinkled texture and the wrinkly appearance of the fabric make it unique and appealing. But the same thing will not look good on your skin. With age, your skin turns crinkly and gets a crepe-like texture. Scroll down to find out more about crepey skin and how you can deal with it. What Is Crepey Skin? Is It The Same As Wrinkles? What Makes Your Skin Crepey? 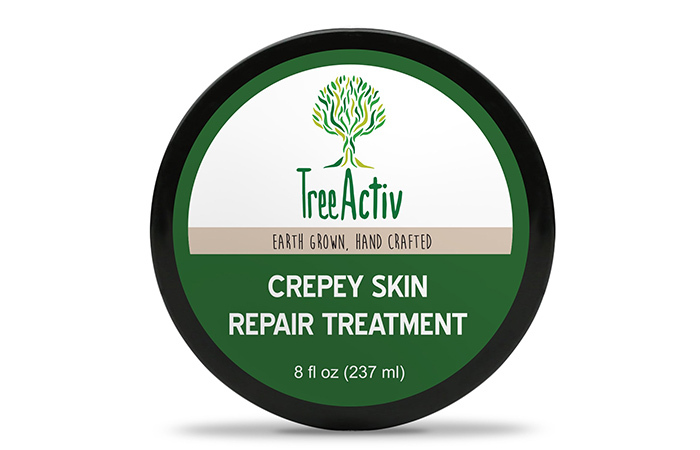 Crepey skin refers to the thinning of your skin, which makes it appear creped, just like tissue paper. 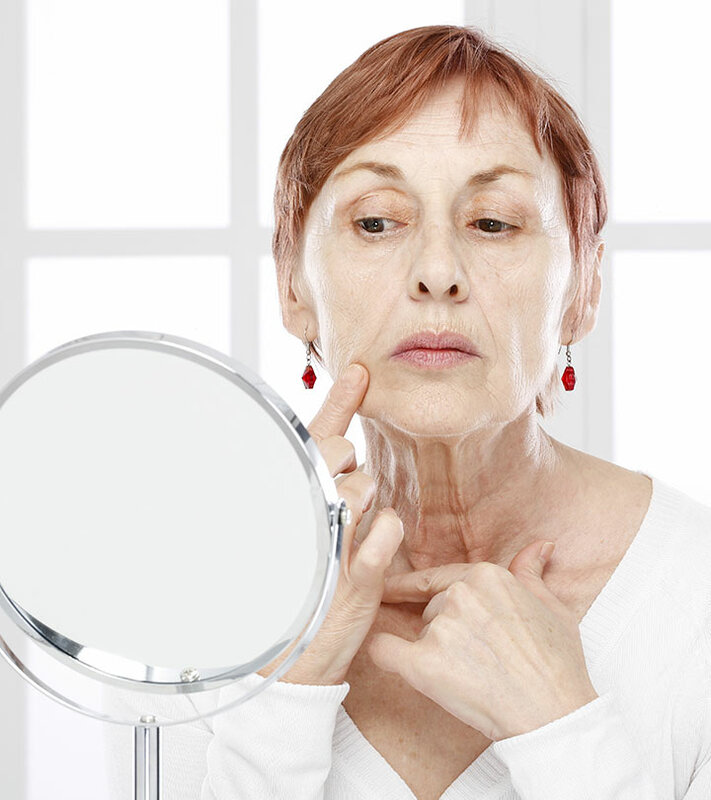 With age, your skin starts to become thin and loses its firmness. This gradual thinning of your skin, supported by other factors, turns your skin crepey and paper-like. Crepey skin looks flaccid with a degree of sagging. With age, the production of collagen and elastin, the natural proteins that keep your skin firm and elastic, declines. That’s when your skin starts turning crepey. It is a prolonged and gradual process and may take years to appear. However, in most cases, your skin starts to turn crepey in your 40s. Crepey skin is not the same as wrinkles. Wrinkles first appear as creases in the skin and then gradually begin to look more like deep crevices. 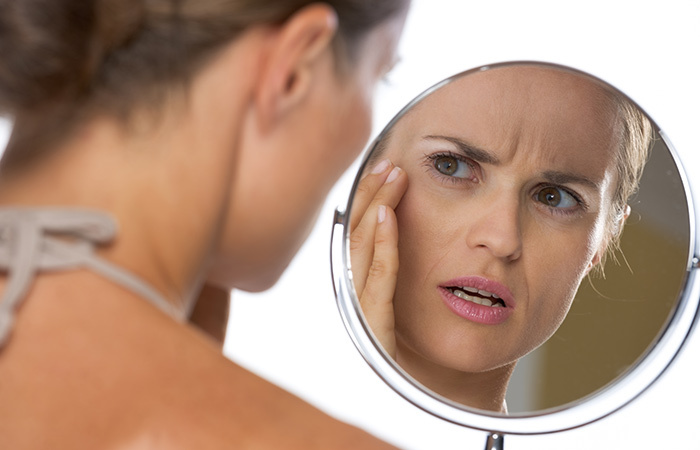 Most of the times, the wrinkles start appearing on areas associated with your facial expressions. For instance, you get crow’s feet on the outer corners of your eyes when you squint, and laugh lines when you smile. When you are young, your skin can bounce back. But with age, your skin can’t bounce back to its actual form quickly. Slowly, grooves start to appear in those areas that later develop into wrinkles. 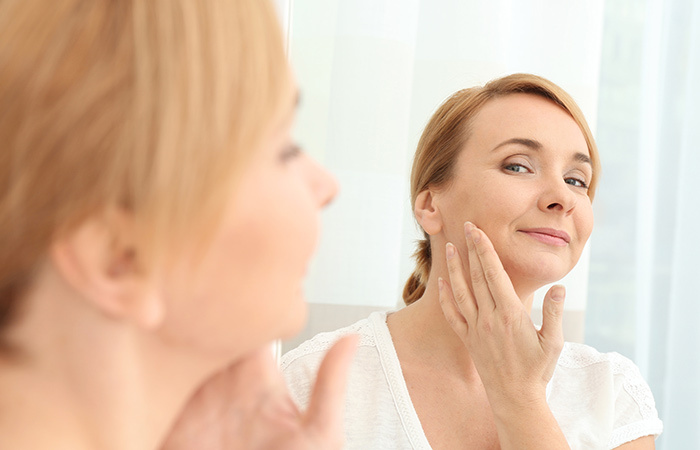 While wrinkles appear in a small area of your skin, crepey skin appears on larger areas. It is related to both the epidermis and the dermis (deeper layer) of your skin along with the drop in the production of collagen and elastin. The skin on your neck, chest, hands, and any other body parts may turn crepey. What causes your skin turn crepe-like? Find out next. The one factor you can’t avoid! 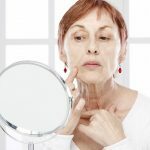 Aging slows down the production of collagen and elastin. As a result, your skin can no longer bounce back as it used to do when you were young. It starts to sag and turn dry and also produces fewer new skin cells. All these turn your skin crepey. The oil production in your oil glands also takes a toll with age. The oil produced by your skin forms a natural protective barrier on it. This barrier helps to lock in moisture and keep your skin soft. Decreased oil production causes dry skin and, eventually, crepey skin. If your skin lacks moisture and is dry, it will turn crepey. Dry skin is an issue that gets aggravated with age. So, make sure you are keeping your skin hydrated properly. If you have experienced drastic weight loss (not the usual 3-4 kgs), your skin will turn crepe-like earlier than others. This is because when you lose the layers of fat underneath your skin, wrinkles start to appear. 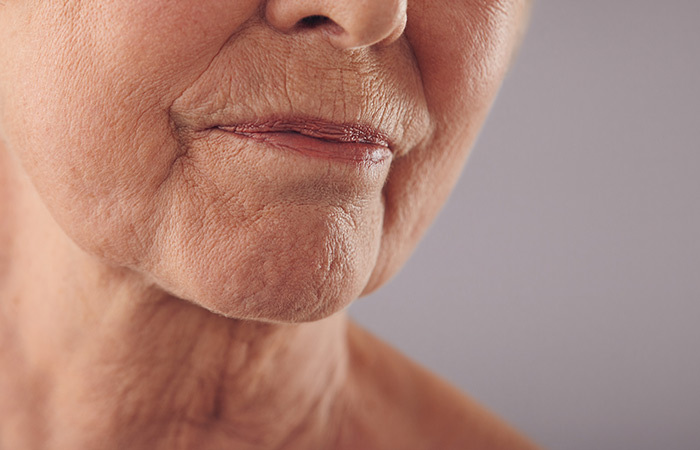 Apart from aging, this is the most common cause of crepey skin. When you expose your skin to the harmful UV rays, it breaks down collagen and elastin. As a result, your skin starts to become loose. Everyone gets crepey skin. However, there are a few things you can do to delay its onset. It is very important to protect your skin from sun damage. Slather sunscreen lotion on your skin, carry an umbrella, wear protective clothing – do whatever you can to avoid the sun as much as possible. Your skin’s health reflects the state of your internal health. Nutrients, vitamins, flavonoids, and other phytonutrients are antioxidants that not only keep you healthy but also maintain your youthful appearance. Vitamin C is particularly helpful in keeping your skin healthy as it boosts collagen production. Follow a diet that is rich in essential vitamins, nutrients, and antioxidants. Water is one of the major components of our body tissues, cells, and fluids, and it maintains cell health. If you are dehydrated, it will affect your skin and make it appear crepey. Hence, stay hydrated. Intake of too much salt makes your body retain more water. And it’s not good for your skin because too much water retention causes swelling. Cut down on your salt consumption if you want to avoid crepey skin around your eyes. Basic skin care goes a long way in maintaining your skin’s health. Exfoliate, cleanse, and moisturize your skin regularly. Otherwise, the dead cells accumulate on your skin, making it look dull, dry, and older. Use products that are gentle on your skin and do not damage the natural lipid barrier. Apart from taking overall care of your skin if you still feel that it’s not enough and you need to do something more to treat your skin, you can try dermatological treatment options. 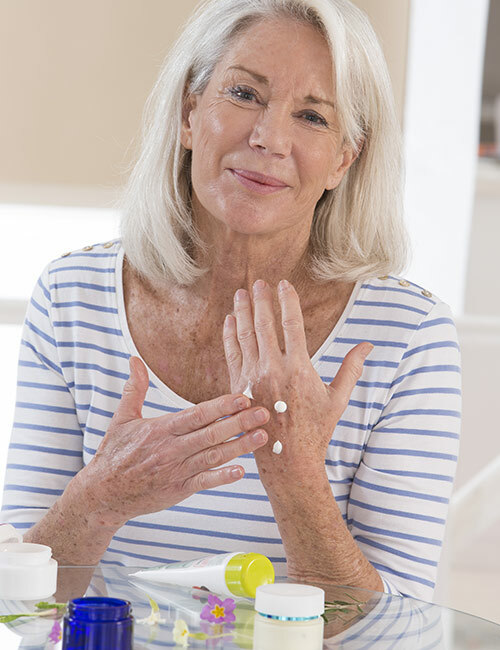 Your dermatologist may prescribe using topical retinoid ointments and creams to treat your condition. 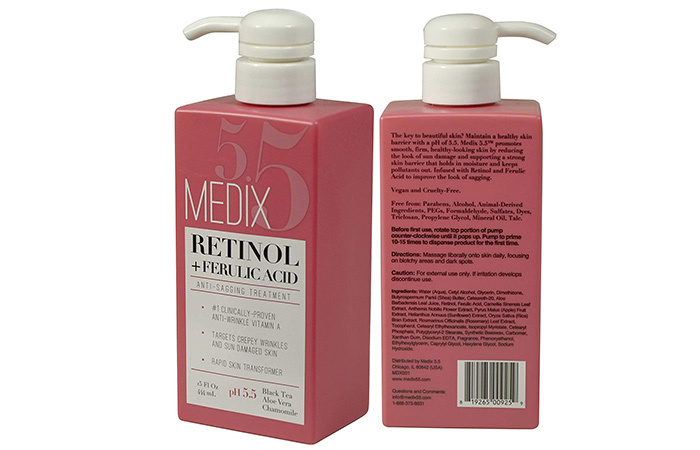 Retinoids exfoliate your skin and increase the rate of cell turnover. However, you need to follow it up with a good moisturizer as it can make your skin dry if not used properly. Consult a dermatologist before using retinoids. This is a procedure in which targeted ultrasound is used to tighten your skin. The ultrasound heats the supporting tissues right underneath your skin and breaks down a few cells, which, in turn, promotes collagen production. This procedure is used for the face and neck area. Also known as Fractional Laser Treatment, this procedure uses a laser to heat areas under your skin to boost collagen production. This smoothens your skin and helps in reducing the appearance of wrinkles and fine lines. Biostimulatory agents are injected into your skin to improve its texture and appearance. These agents promote collagen development and also help to reduce the development of crepey skin. In this treatment, the lipids in your fat cells are frozen as a result of which they dissolve slowly. This procedure is performed when you have loose skin over excess fat. This tightens the skin and dissolves the fat under it. 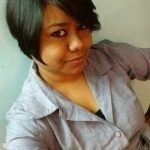 In case you want to try some products to get rid of crepey skin, here’s a list for you. 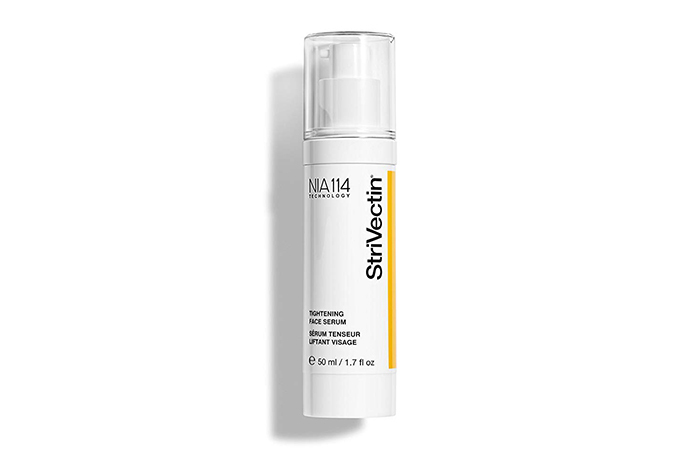 This nourishing skin cream boosts collagen production and improves your skin’s elasticity. It works on any body part. You can buy it right here. This product contains lemongrass and kiwi and is rich in peptides that have anti-aging properties. It has a deep moisturizing effect on your skin. You can buy it right here. This lightweight serum tones and tightens your skin and improves your facial contour. You can buy it right here. This is a blend of anti-aging ingredients and antioxidants. It improves skin texture and imparts a youthful glow. You can buy it right here. There is no way you can avoid crepey skin, but you can delay it if you take care of your skin. Tailor your skin care routine based on your age. What suited your skin in your 20s will not work when you are in your 30s. The chemistry that goes on inside your body changes with age, and you need to alter your routine accordingly. This helps in preventing further damage. Consult a dermatologist to plan out the best skin care routine for you. Hope this article has given you an idea of how you can deal with crepey skin as well as delay its onset. If you have any doubts or questions, post them below, and we will get back to you.